I Learned What Foods I should Eat - Oxford Biomedical Technologies, Inc.
For years I was so bloated and inflamed, I didn’t recognize myself in the mirror or pictures. I had no energy, brain fog and generally did not feel well. I was going to all kinds of doctors looking for answers as to why I felt this way. They just wanted to treat my symptoms with medication. They were not interested in finding the source of the problems I was having. I needed help! I decided to go to a nutritionist and that is where I heard about the MRT test. I had the MRT test on July 23, 2016. I learned what foods I should eat and what ones I should avoid as a result of this test. It was a life saver! Today, 11 weeks later I am down 10 pounds, fit into clothes that I have not been able to wear in 2 years. My hands and face are less puffy so I feel more like myself. I find I have more energy and the brain fog that I suffered from has disappeared. My skin color has even improved as well. I am so happy I had this test and wish I had known about it sooner. 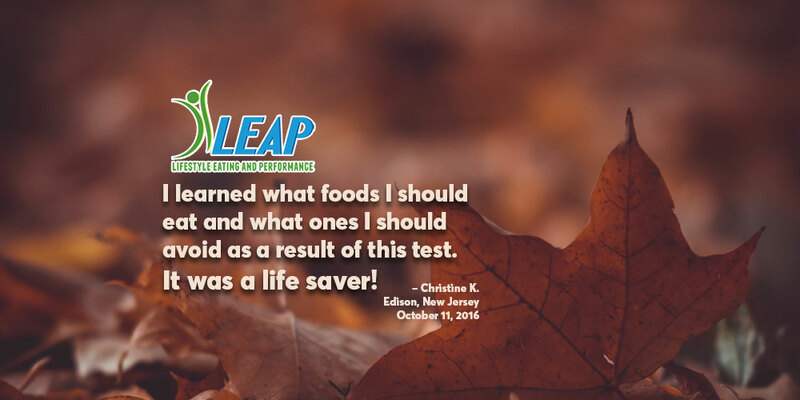 This story is from a client of Maria Sakowitz, MS, RDN, LDN, and a Certified LEAP Therapist.